As spring turns to summer, Canada’s westernmost province proves an ideal backdrop for celebration — from mountain adventures and meditating, to building sandcastles or listening to a symphony by the sea. Here are a few of BC’s favorite fests. 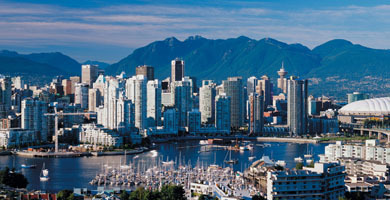 British Columbia festivals and events are as diverse as its geography and residents. Love arts and culture? British Columbia has festivals that focus on theatre (ranging from Shakespeare to “fringe”), dance, film, crafts and visual arts. For music fans, there are events showcasing all genres: classical, jazz, classic, indie rock, bluegrass, and even accordions! Sporting action happens year-round; watch top athletes at the World Ski & Snowboard Festival and the Williams Lake Stampede, or take part in the Sun Run – Canada’s largest running event. Events are a great way to sample BC’s incredible food and wine culture. Try Cornucopia, the Cowichan Wine & Culinary Festival, or one of the three Okanagan seasonal wine festivals. Sand castle competition at Parksville. Credit: Craven. Parksville, with its long, picturesque beaches on Vancouver Island’s eastern shore, is sand castle territory. And for those who are serious about the build (a.k.a. the best in the world), the Quality Foods Canadian Open Sand Sculpting Competition & Exhibition is a worthy challenge, not to mention a qualifying event for the World Championship of Sand Sculpting. Competitors will shape their creations July 10 – 12, and their fine-grained works of art will be on display until August 16. Photo by Leah Martin for Wanderlust Festival. Yogis will unite for Wanderlust Whistler, a five-day festival that celebrates mindful living, July 30 – August 3. While this four-season mountain village is a haven for high-octane adventure, it also proves a natural setting for wellness, with meditation and yoga (including practice on stand-up paddleboards), hikes, biking, spirited musical performances, thought-provoking speakeasy lectures and a Kula Market bursting with keepsakes. Joyride at Crankworx Mountain Bike Festival in Whistler. For high-flying fun, adrenalin-seekers are sure to take it up a notch at the Crankworx Whistler Freeride Mountain Bike Festival, August 7 – 16. This festival, at Whistler Bike Park, promises an opportunity to shred the trails during freeride competitions, pick up the pace during gravity-fuelled races or simply watch, and revel, in the action. The little ones won’t be left out, thanks to specially crafted obstacle courses at Familyworx in the village and a custom pump track, complete with cheering fans, at Whistler Olympic Plaza’s Kidsworx. 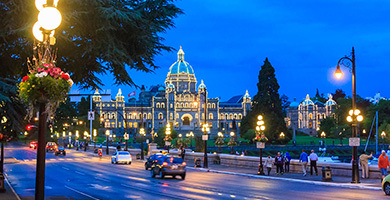 Festive fireworks and seaside views draw annual crowds to the province’s capital during the Victoria Symphony Splash — and 2015 promises to be no different. More than 40,000 people will take in the classical sounds August 2 in Victoria’s Inner Harbour, a bustling hub that will be transformed into an outdoor concert hall, complete with a floating stage. A highlight: the Victoria Symphony orchestra’s performance of Tchaikovsky’s 1812 Overture, capped off with brasses, bells and cannon fire. Wine tasting in the Okanagan. 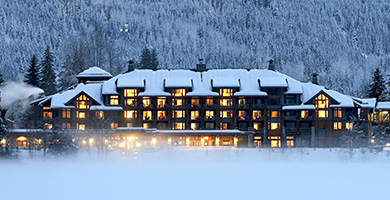 Credit: Silver Star Resort. There’s much more to Silver Star Mountain Resort than skis and boots; indeed, the Mountain Top Food & Wine Festival in BC’s Okanagan showcases the alpine resort’s cultured side during a three-day, toast-worthy celebration of local wines. Set for August 7 – 9, the fest features Wine Masters’ dinners, wine and food seminars, art gallery viewings and guided alpine flower hikes alongside the event highlight, The Mile High Wine Tasting.